Based in Brisbane, Nightwoods' sound reflects an intriguing combination of influences including Dope Lemon, Dandy Warhols and Brian Jonestown Massacre. 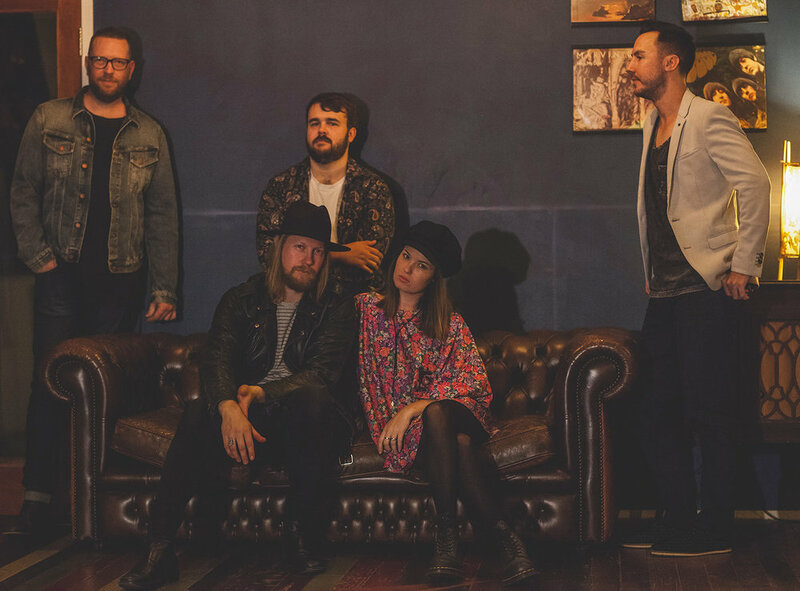 Ahead of their upcoming gigs at NightQuarter and City Sounds, we decided to ask our favourite new psych-rock act a few questions to get to know them a little bit better. Let's go! Cabin in the woods vibe psych rock. Who is your biggest musical inspiration? Why? Dandy Warhols because of their catchy style of songwriting that we love. 90’s psych rock is a heavy influence on our music. Can you describe what your usual songwriting process is like? Ari and I write everything together, one of us will bring a riff or melody to the table and then we'll work together on the general structure of the song as well as lyrics. Our songs are telling a bit of a story, a part of us, so we usually take our time over a glass of red, mostly at night. I have a studio so we record new music straight away developing the ideas even further while they are fresh and exciting. We lay down harmonies, guitars, keys and drum grooves before showing the rest of the band. Take the time to celebrate your wins and don't sweat the small stuff. Finding true fans of your music and staying active enough to build a following and gain traction. Everybody has busy lives, it can be hard to keep recording and releasing music, playing enough "good" shows to build a solid crew of supporters. You are competing with so many forms of entertainment and getting people to invest in you as people and your story is a hard message to present through the noise of social media and the sheer volume of other artists and bands screaming for attention. As for a solution, every artist has different challenges; we are just focusing on writing good songs and being true to ourselves and our sound. Our music is all about escape and stepping away from the hectic and busy lives we lead, even just for a little while to relax and reset. We wear our influences on our sleeve so we will be putting our energy into getting our music on playlists that will be heard by people searching for that mood and vibe, playing alongside bands we like to listen too and in venues we resonate with. Then, the punters that discover us through those means can look deeper and connect with us directly, come to more shows and invest in our art. We have a few shows coming up as part of the SEED compilation launch and supporting our Wait For The Night single. We are currently recording new material and shooting a video for a new single which will be released by the end of July. We are planning to have an album by the end of the year which will include those releases and more. Planning on a limited Vinyl pressing too which is very exciting.